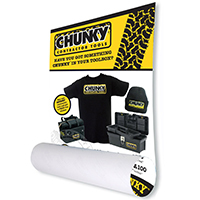 Exhibition display graphics printing: all our exhibition display graphics panels are printed and finished in-house to ensure the very highest quality of service. 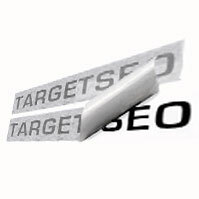 You get consistent quality, total reliability and deadlines that are always met. 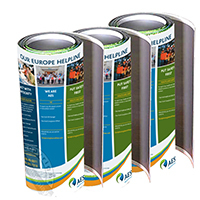 We buy in bulk and print in house and pass the saving on to you. 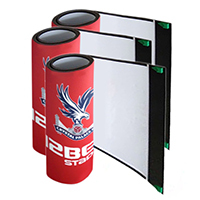 We offer a full range of exhibition stand graphics services including digital printing, computer cut vinyl, screen print as well as mounting, laminating and encapsulation. 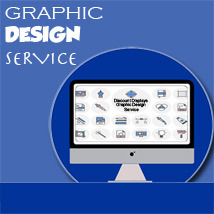 For both indoor and outdoor graphics. Call our experts for free advice 0844 800 1020. Exhibition graphics printed in-house to ensure high quality, show-stopping graphics for your trade show, event or exhibition. 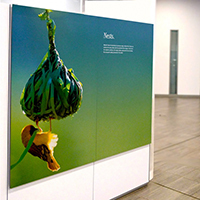 Stunning direct to panel printing exhibition display panels including options for rollable and rigid panels. 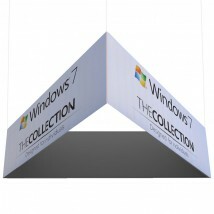 We also offer replacement graphics for popular exhibition equipment including banner stands, pop ups and shell scheme. 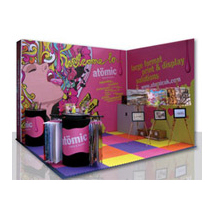 Full colour custom graphics are a great way to attract passing visitors to your exhibition stand. Our fast and reliable service has been used by thousands of companies to produce top quality photo-realistic ink jet printed panels. 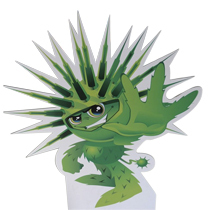 If you want to speak to one of our exhibition graphic experts call us on 0844 800 1020.